OCCC’s most recent blood drive fell short of its goal, said Terri Townsend, coordinator of the Oklahoma Blood Institute. They had hoped to collect at least 70 donations during the two days that the donation center was on campus, April 14 and 15. But only 53 blood donors responded to the call. In the first day 29 blood donations were registered and in the second day only 24. “We were expecting at least 70,” Townsend said. Townsend said that blood donations save millions of lives across the U.S.
OCCC Police Officer Tim Harris said he participated in the drive. Townsend said almost everyone can donate. All blood types are important, but the ones that are hardest to find are the O Negative and the A Negative. O Negative blood is especially desirable because that blood can be given to anyone regardless their blood type, Townsend said. OCCC Pioneer news writing instructional assistant Ronna Austin is an O Negative blood donor. She said she donates blood every time she is eligible. People should not be afraid because it’s a painless experience, Austin said. People should donate blood from the right perspective. Each donation can save three lives, she said. Austin also said that donating blood can be made into a game. Townsend said the Oklahoma Blood institute collects blood donations that will assist more than 163 medical institutions in Oklahoma and in the U.S.
Those who donated blood were given an Oklahoma Blood Institute T-Shirt and a mini health-check that included the donor’s pulse, temperature, cholesterol level and blood pressure. Townsend said the Oklahoma Blood Institute will be back at OCCC in June to collect more donations. 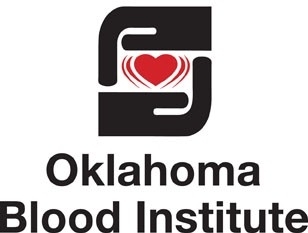 For more information about blood donation, go to the Oklahoma Blood Institute web page at obi.org.